If you were seriously hurt in a Pembroke Pines car accident, then you will need the best Pembroke Pines car accident attorney to help you get the compensation and the justice that you deserve. But how do you find the best Pembroke Pines car accident lawyer for your case? First avoid “friendly strangers” that contact you out of nowhere. In the industry, these types of people are known as runners. Aside from being illegal, these solicitors are simply going to sell your name and information to medical clinics and lawyers. That isn’t the way you want to go. The better ways to find the best Pembroke Pines accident lawyer for your car accident case are to ask the people you trust and do your own research. Look for client comments and ratings as well as the law firms recent case results. Take your time and make sure that you are comfortable in your choice of the best Pembroke Pines car accident lawyer. At the Wolfson Law Firm, our Pembroke Pines personal injury lawyers have counseled, guided and assisted South Floridians after car accidents and injuries for more than 50 years. We have offices in Fort Lauderdale, Miami and West Palm Beach. Our Pembroke Pines car accident attorneys can also come to you. All you have to do is call us for your free and confidential consultation and meeting at toll-free (855) 982-2067. 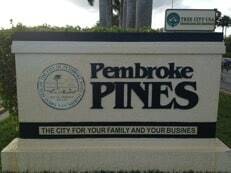 The City of Pembroke Pines is known as “The City for your Family and Your Business”. Brought about in January of 1960, it quickly expanded both in size, and population. Once only a square-mile in length, many of the surrounding areas were incorporated into the city. As the city grew, its population grew even more so, thanks to hurricanes devastating a few of the areas nearby, including south Miami-Dade, forcing many of its residents to move into the city. Most notably, it once held one of the most dangerous intersections in the entirety of the United States, according to Local10 News. That intersection was Flamingo Road and Pines Boulevard. One of the factors that made it so dangerous was the nearby population and retail centers such as Century Village, Pembroke Lakes Mall, Shoppes at Pembroke, and CB Smith Park. While nothing could be done about the volume of traffic the overall design of that intersection was subject to review. As a result, it has since redesigned the intersection to allow for better flow of traffic. Jonah Wolfson is the managing trial attorney of the Wolfson Law Firm. 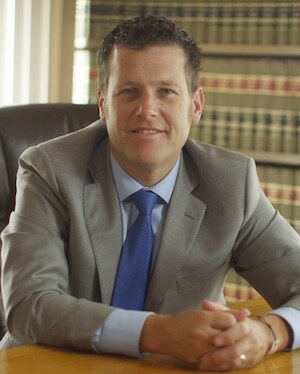 He is a bilingual Pembroke Pines car accident attorney. His Pembroke Pines personal injury legal team is standing by and ready to help you. Call us at 1-855-982-2067 so we can get to work for you in your pursuit of compensation and justice. Our South Florida accident attorneys proudly provide responsible and responsive legal representation for accident victims in Pembroke Pines and throughout the towns and cities of Broward County including Weston, Miramar, Hollywood, Southwest Ranches, Cooper City, Davie, Sunrise, Coral Springs, Unincorporated Broward, and Fort Lauderdale.